Our bodies depend on bacteria. Bacteria digest the food that we eat and form the underpinnings of our immune system. And we have LOTS of bacteria inside us, about 10 bacteria cells for every body cell. Since bacteria have something of an image problem (thanks, antibacterial soap), marketers have decided to call beneficial bacteria probiotics. Would that make harmful bacteria antibiotics using the same naming scheme? No, stop that. Our bodies are full of probiotics naturally. What marketers call probiotics are particular strains of bacteria that have been cultured and raised in a factory. More attention is paid to the hardiness of the probiotic, especially regarding its shelf life and flavor, than to any particular proven health benefit. To be clear, there is no scientific proof that probiotics are harmful. In fact, there is a lot of anecdotal evidence to show that probiotics are harmless. 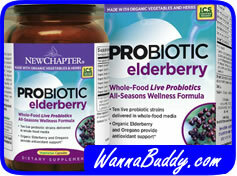 It is merely that there is no peer-reviewed scientific proof that probiotics deliver any positive health benefit. That’s why probiotics are considered supplements (barely regulated by the FDA) rather than medicine, where the FDA takes a “show me” attitude toward claims of benefit. Most of us get our “starter” dose of probiotics during birth. While we are in the womb, we are bacteria-free. During our journey down the birth canal, we ingest bacteria from our mother. That is the start of our own personal inventory of probiotics. Those of us delivered by Caesarian Section miss this bacteriological jump-start and need to make up the deficit on our own. So do we need additional probiotics from our food supply? In most cases, no. Our daily lives expose us to millions of different bacteria, many of them beneficial. If you have just completed an aggressive course of antibiotic treatment, your doctor might recommend some probiotic yogurt or supplement pill. That’s probably more palatable than having you lick the door handle at the grocery store.